Provides Training and Consulting Solutions to help your sales team sell more with higher margins. Since 1995 more than 25,000 managers and executives from 1000+ organizations in India, SAARC, Gulf region and Malaysia have benefitted by our programs. Peter Drucker was consulting for a CEO of a major bank in US. For every meeting the CEO used to assign Peter a time slot of 90 minutes. A highly effective person, the CEO was delivering consistent results for his bank year-on-year. Around 40% of Industrial / B2B purchase decisions are taken in the last quarter (January-March) of the financial year. Is your sales team focussed on targeting the right customers? 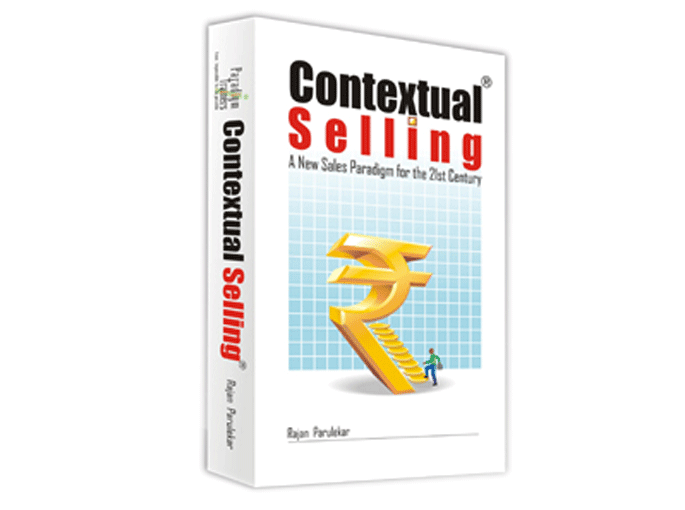 2- days Result Oriented Training Program on Contextual Selling for High-Value Sales at Bangalore. "I would like to place on record that your presentation on 22nd June on Emotional Intelligence was just crisp, sweet and informative. Very inspiring speech, I swear, I like it. At no point of time I got bored and my attention was always in your speech every second. That is the success of your presentation." "Your Sales programme that I attended in Mumbai was among the best and most informative programmes that I have attended to date (I did attend quite a few after yours) and have suggested it to a few friends I made at the other programmes." "The program was well received by the participants. They are impressed by the course design, subject coverage and more particularly lucid style of your delivery." "I have done some introspection after attending the programme on Managing Time – from Activities to results and have started identifying those items which are beyond my control. To that extent, I feel I have reduced my stress levels."